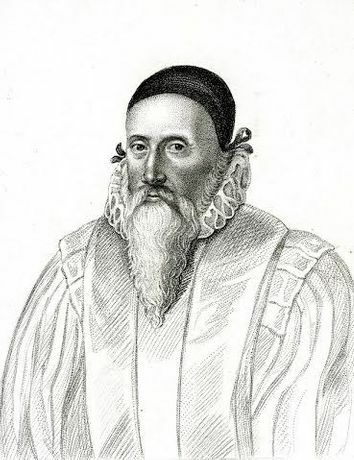 Special evening exploring Tudor polymath extraordinaire John Dee. Late opening of acclaimed exhibition, with curator and expert lecturers offering an insight into enigmatic mind of Dee. Explore one the most mysterious men of Elizabethan era at a special late opening of the acclaimed exhibition ‘Scholar, courtier, magician: the lost library of John Dee’. Catch this opportunity to view the displays. Hear talks uncovering the enigmatic mind of the Tudor magus from experts Bill Sherman and Deborah Harkness. Whilst exhibition curator Katie Birkwood discusses the challenges of deciphering the man through his book collection. Described by The Times as ‘a revelatory show’ and Culture24 as ‘a magical glimpse into the Tudor imagination’, ‘Scholar, courtier, magician: the lost library of John Dee,’ boasts a selection of Dee’s volumes, many of which have never before been displayed, with subjects ranging from empire and the art of love to cryptography, mathematics and politics, all reunited for the first time in over 400 years with his personal possessions. Professor of history at University of Southern California, Deborah Harkness starts the evening with her lecture, ‘The Renaissance library and the worldview of John Dee’. Her book, John Dee’s Coversations with Angels is a pivotal work exploring Dee’s earlier interest in nature, philosophy, and the religion. She later went on to write the award winning The Jewel house, and The Sunday Times and New York Times bestselling, All Souls Trilogy. Exhibition curator, Katie Birkwood follows with ‘Curating Dee: behind the scenes of ‘Scholar, courtier, magician’’. Katie is the rare books and special collections librarian at the Royal College of Physicians and has worked with Dee’s collection on a near daily basis in the years running up to the opening of the show, giving her a unique perspective on Dee and presenting this extraordinary man to the wider public. 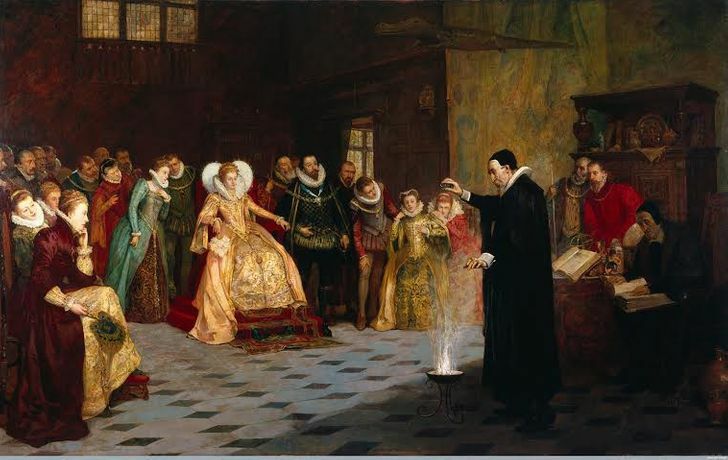 Bill Sherman, head of research at the Victoria and Albert Museum and professor of Renaissance studies at the University of York, takes us ‘Back to the future with John Dee’. Bill has published on the history of books and readers of the Renaissance, he offers a fascinating perspective on the relationship between knowledge and power. His books include Used books: marking readers in Renaissance England and John Dee: the politics of reading in the English Renaissance. 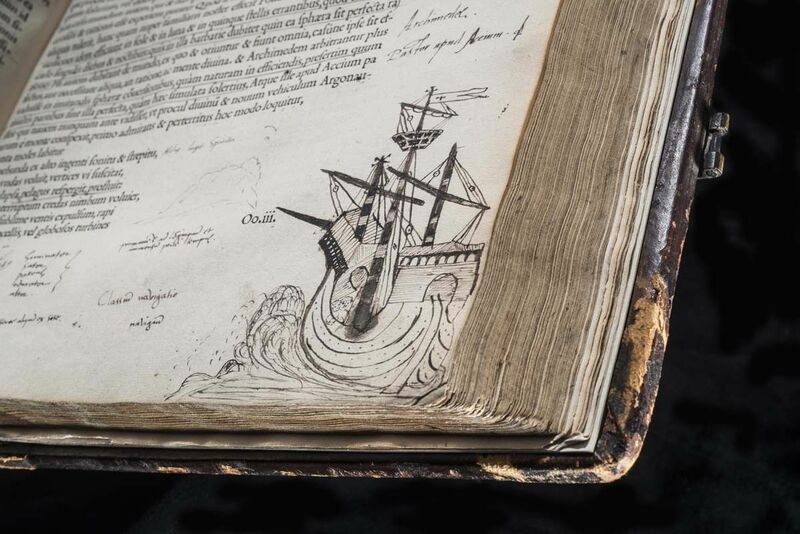 This unmissable evening offers a glimpse into the miraculous mind of one of the Renaissance world’s most intriguing figures and the tempest of intellectual passions from astronomy to astrology, alchemy to bibliophilia, cryptography to history, medicine and religion that resided there.